June 24th, 2015 By: GGT Category: 2015/10 release, Figure News. 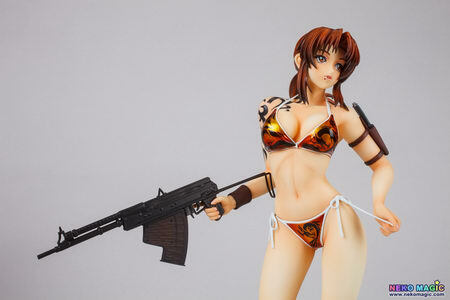 New Line is going to release the Revy ( レヴィ ) Swimsuit Ver. ( 水着ver.) Repaint Limited Edition ( リペイント企画限定版 ) 1/6 PVC figure from the manga/anime “Black Lagoon” ( ブラックラグーン ). Will be released on October 2015. Around 260mm tall, 9,800 yen.